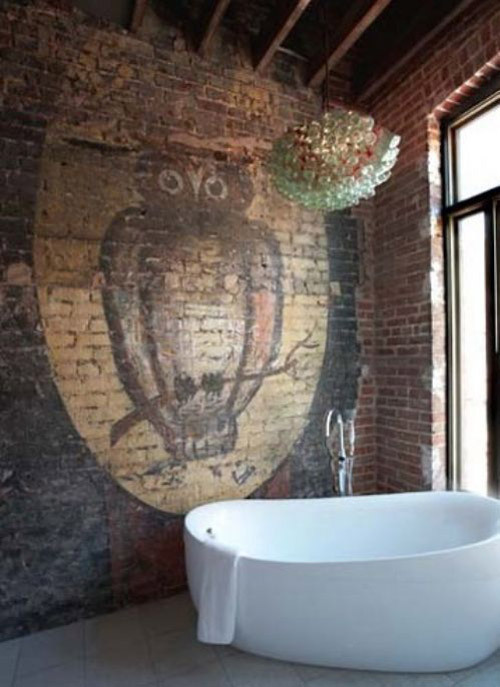 La Dolce Vita shares this bathroom with incredible an owl mural on a brick wall and gorgeous bath tub. 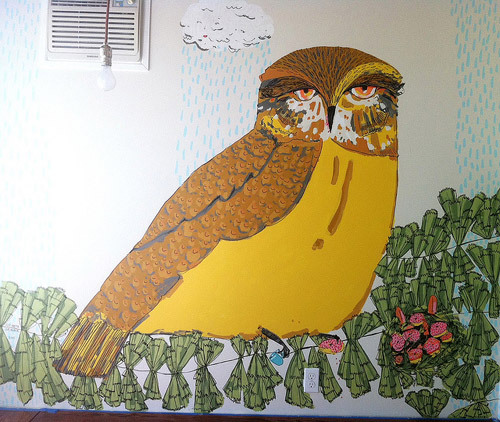 Owl Mural by Elizabeth Graeber, previously blogged here. P.S. 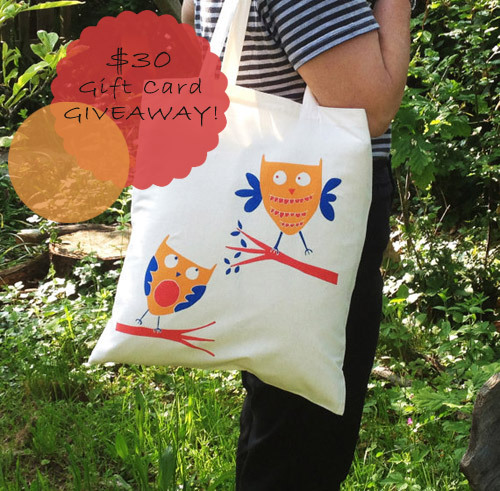 : Don't forget to enter for a chance to win a $30 gift card. Drop your name here. 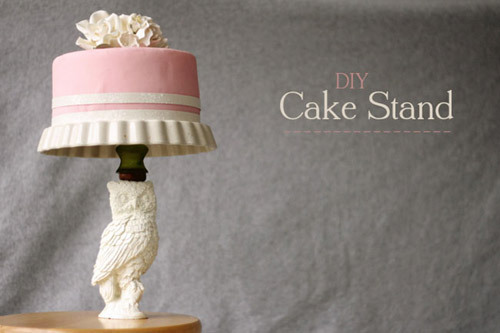 Visit Green Wedding Shoes for the entire tutorial by Christy to create your own fun and easy owl cake stand. 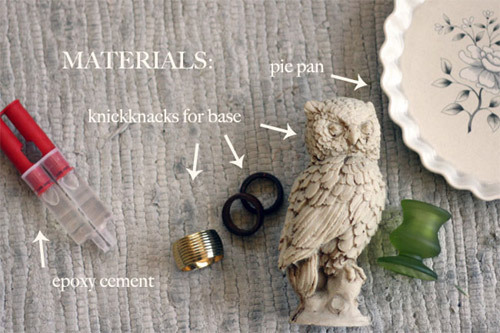 All you'll need for this project is some knick knacks from around your home, an owl figurine and a pie pan, things that can be found in a thrift store or yard sale. 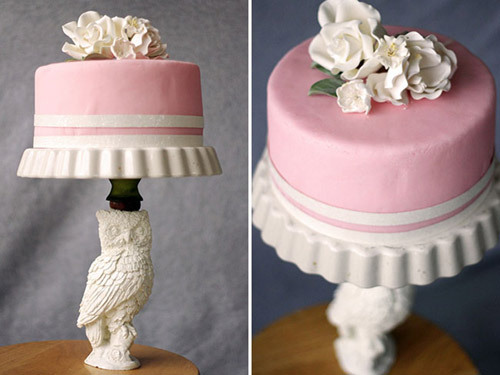 This quirky owl cake stand is perfect to add a little whimsy to wedding dessert table or an owl themed party. 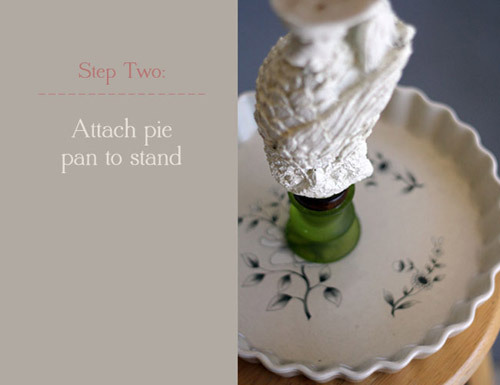 For step by step instructions and more images go here. 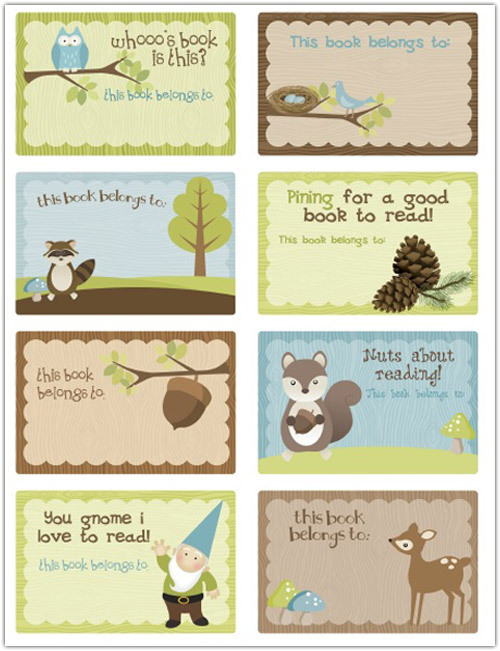 Get these back to school bookplates for free from World Label.com. 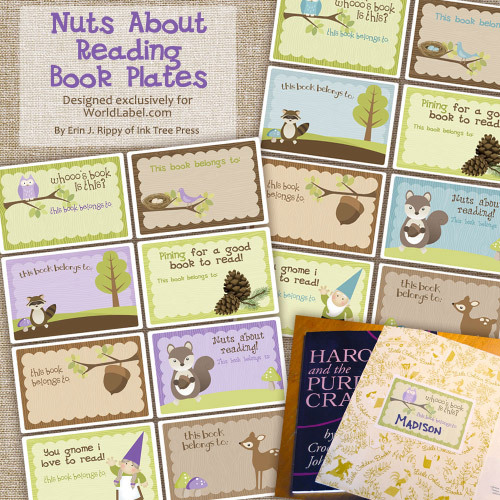 The “Nuts About Reading” bookplate label collection is based on woodland theme designed by Ink Tree Press will surely be loved by parents and kids. 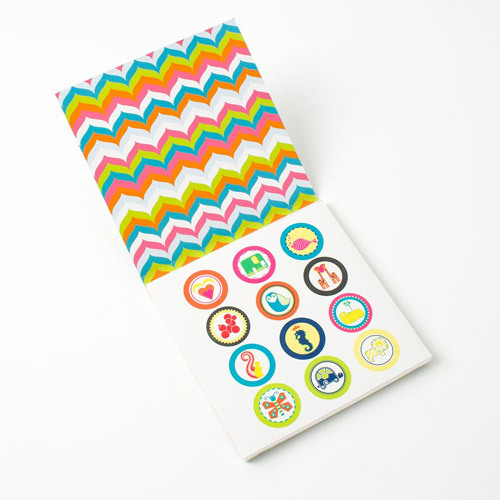 Download the printable bookplate label in fillable PDF template and start labeling! 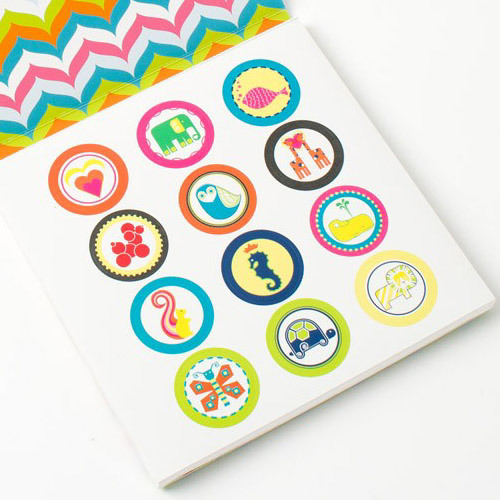 You can use the same font shown on the labels or personalize the labels with your choice of font. 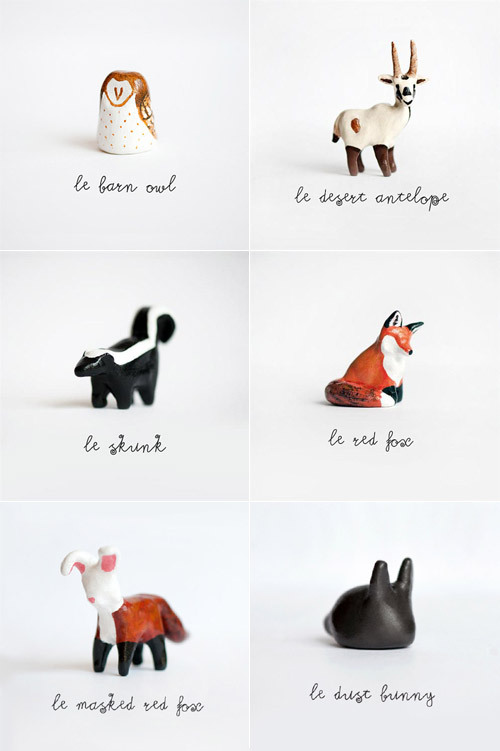 Laura of Le Animalé is a sculptor from Raleigh, North Carolina who makes adorable handmade miniatures. 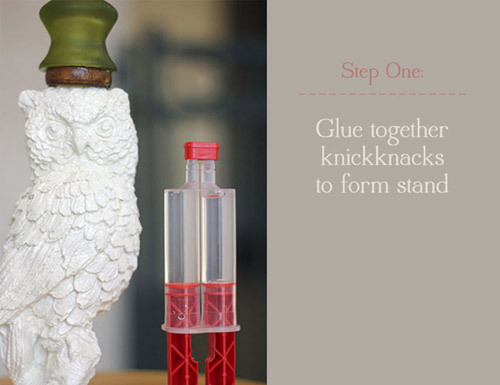 Most of her animal totems measure under 2", each one taking hours of meticulous work. 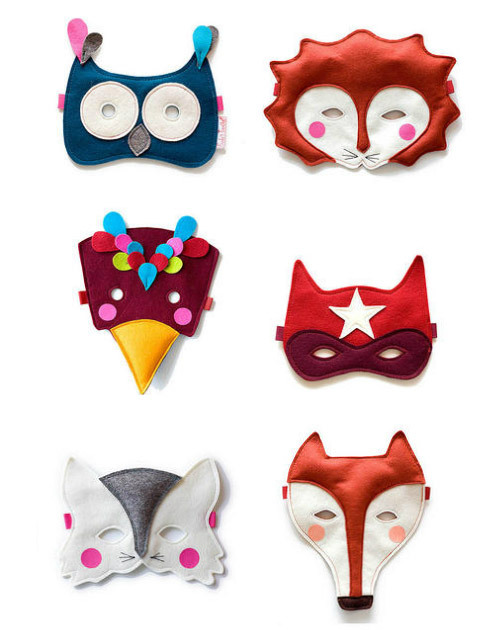 "My creative process in either medium starts solely with deciding on which animals I want to make. Some translate nicely to 3D and some translate better to paper, so I make my decision based on that...With the clay, there are more steps that must be followed: after sculpting the clay must cure in the oven, then it is prepped for finishing, painted and varnished"
Artist's statement on her animals that are created full of spirit and personality: "I think it’s a result of how I see animals, coupled with my detail-oriented work style. Animals are cute, they’re comforting, they’re funny, clever, and full of personality. They each have their own energy and fun traits. 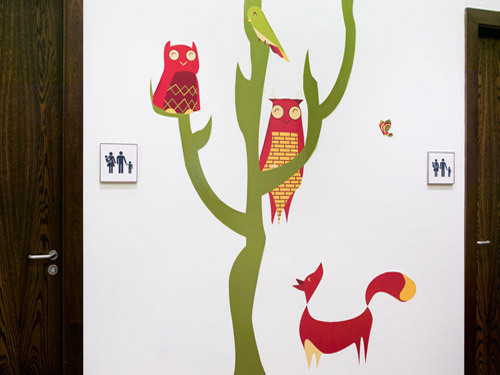 I try to translate those characteristics in the details of each animal I make." To learn more about her and her work read her interview here. You can view the entire range of her tiny sculptures here. 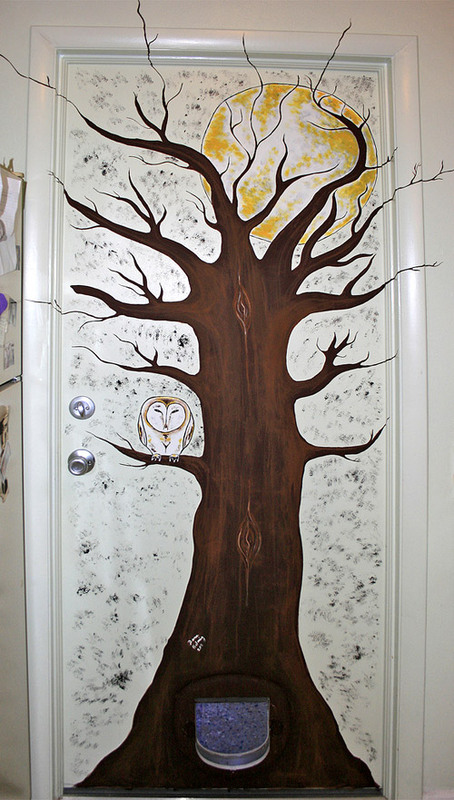 I have a very talented artist to introduce to you folks today! 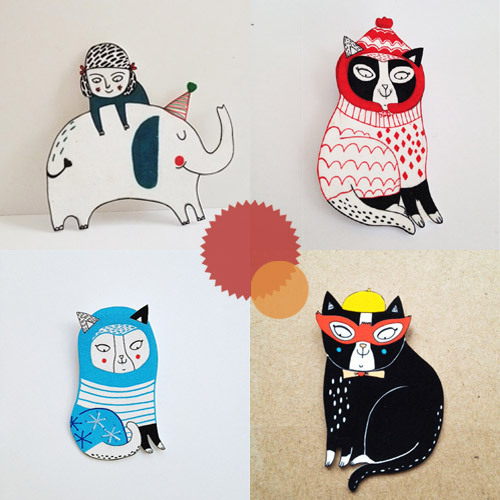 Daphne Sivetidis is an illustrator based in London who creates fun goodies like totes, brooches, cards, prints mirrors and more. 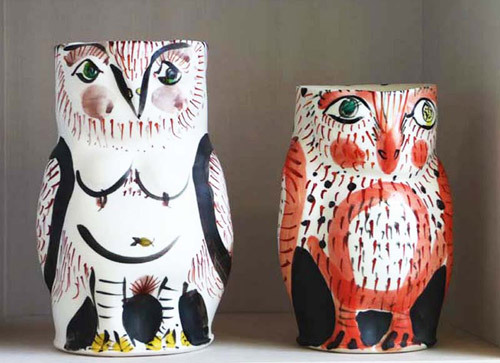 Each of her product is based on her original illustration inspired by nature and created with intricate detail depicting owls, birds, cats, elephants, lions etc. 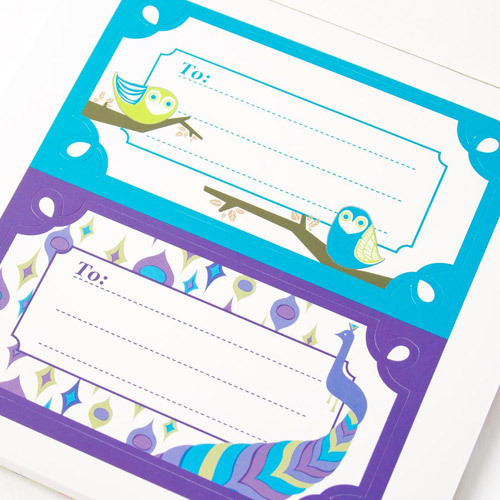 Daphne has generously offered a $30 gift card to one of My Owl Barn readers! The winner can choose from any of the merchandise available in her online store Messy My. Everyone is welcome, this giveaway is open internationally. I'll announce the winner sometime on August 28th! Update: Our winner is Michelle Morris. Congrats! Remember this post? 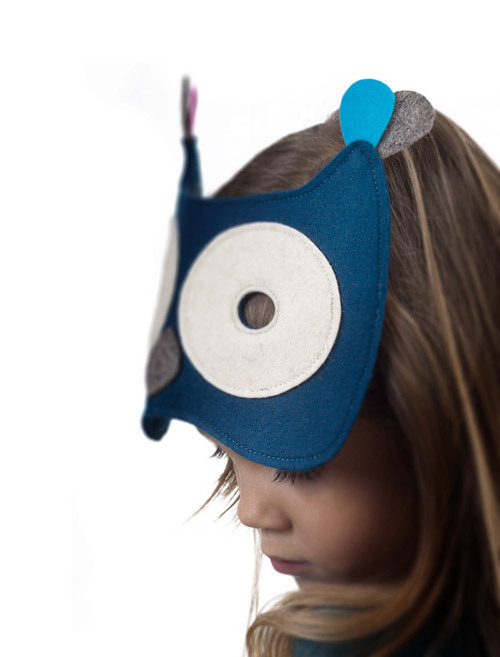 Zutano has added more sweet products to their 'owls' collection for babies and toddlers. 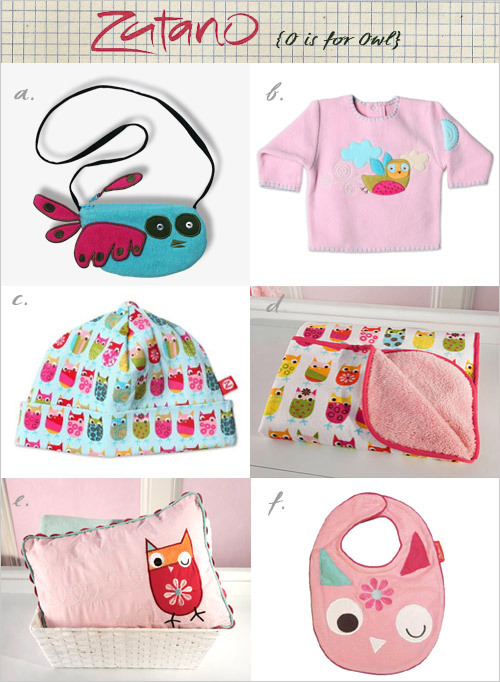 I picked out few of the items shown above to share here. You can view more merchandise here. 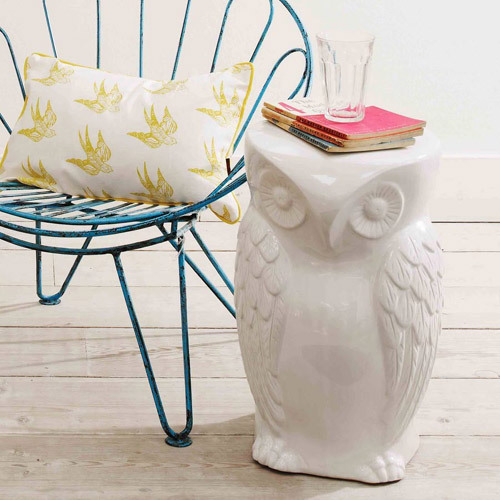 This wise guy will work perfectly as a stool, a side table or as a whimsical conversational piece in any room! 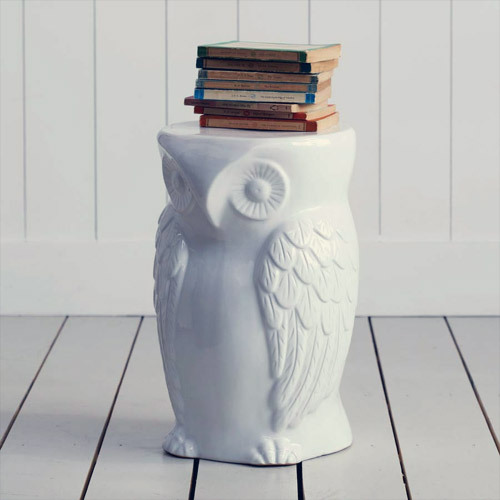 The beautiful glossy white lacquer finish enhances its features. 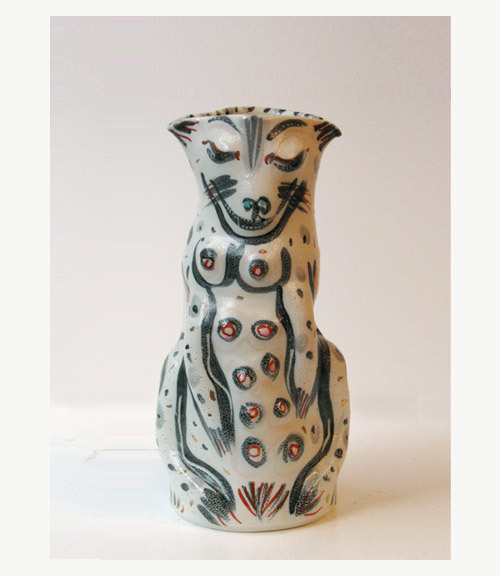 Measures 48cm high x 29cm wide, available at Graham and Green. 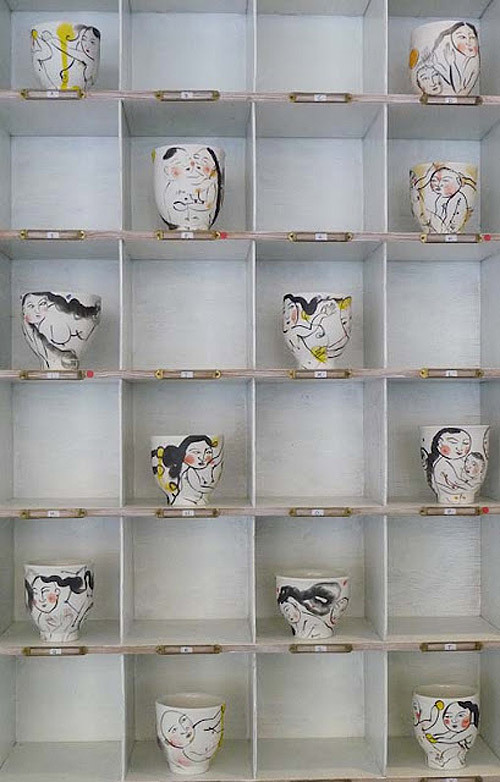 Akio Takamori is a ceramist artist born in Nobeoka, Miyazaki, Japan in 1950, now lives and works in Seattle. He creates unique sculptures of animals, villagers, school children, shopkeepers and infants from his memory. 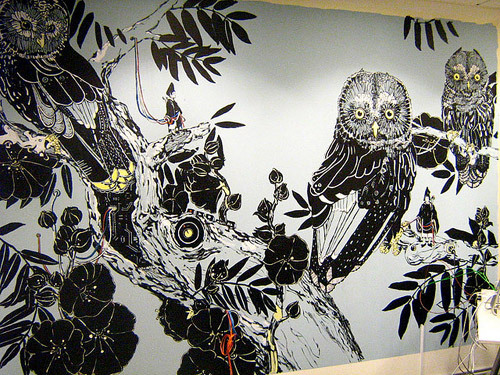 His work has been strongly influenced by his Japanese heritage, and been awarded and displayed in several solo exhibitions. His pieces can be found for sale worldwide at galleries and auctions. 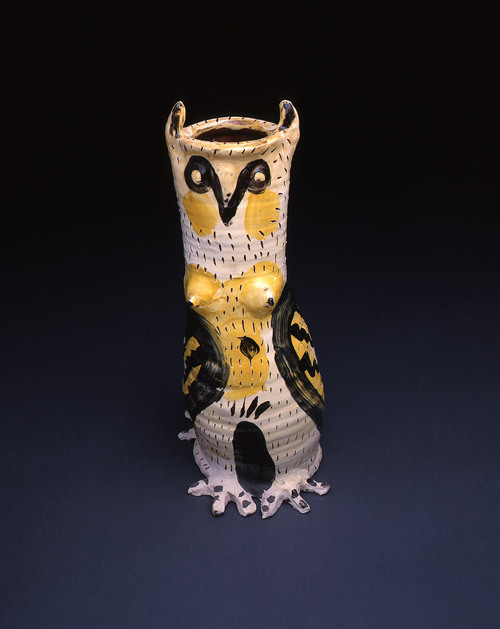 I am enamored with the owl vessels! 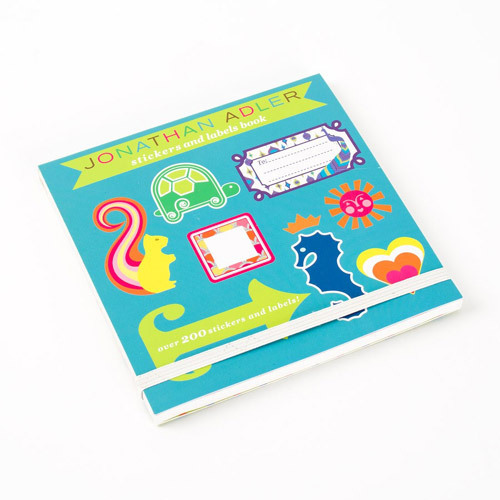 Jonathan Adler sticker & label book and giant erasers are my favorite products from the colorful and fun stationery range for the upcoming season. 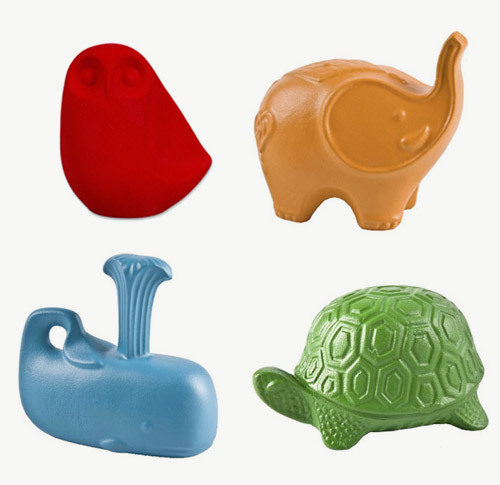 Check out erasers, die-cut animal shaped notepads, iphone cases, pens and more here. "Where is Alice?" 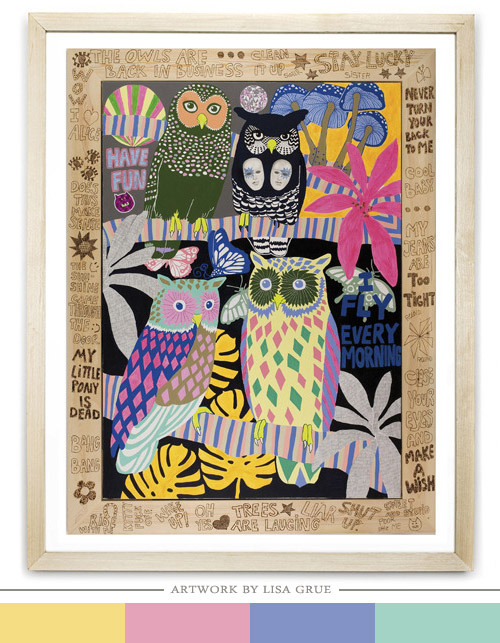 limited edition print by Lisa Grue.